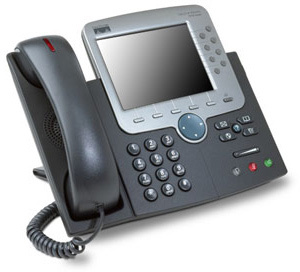 Reduce Telephony Demand - How? With the growing demand of the customer support in service industry, it is observed that the call center costs are increasing tremendously. Therefore, to save some extra penny of your organization, it is essential to adhere to a policy that reduces the volume of our call centrewithout any malfunctioning of your core competencies. Many have adopted strategic measures to reduce telephony demand for a pleasurable and effective conduction of business processes. Suggestions: · The first and foremost suggestion to reduce the volume of incoming calls is through designing customized process for the customers. If an organization is dealing with a multiple product line-up, then it is natural that customer tends to call more rapidly. Therefore, it is recommended to allot specialized telemarketing call services in different segments with different agents. This will reduce the confusion in both sides. · Never respond the customer with complicated and lengthy letters. If you have any inquiry from the customers, make sure that you reply in simple language with a clear solution to the problem. Ensure that the letter is free from any errors, jargons and any text that can create confusion within the customer. Never mention any phone numbers with such replies. · Try to resolve any trouble-shoot in the first attempt. If a telemarketing agent is unable to resolve any matter, try to transfer the call to a person who is capable of resolving matter wisely and quickly. A repeated call means inability of your organization to resolve customer queries. Therefore, ensure that the repetitive calls are reviewed from time to time. · The use of IVR (Interactive Voice Response) software is a very reliable and effective tool to avoid unnecessary and repetitive calls. Most of the call center outsourcing company prefer to resolve any matter with this recent technology. It consumes less time and customers gets a direct routing to the specific department he/she wants to talk with. · The introduction of online automated channels in the websites is also gaining immense response to solve customer query with lesser volume of telephone calls. It generally includes searchable online information on errors and technical support, add-on sales products and bill payment modes. Therefore, develop this concept that is convenient for customer. It must be easy to log into and supported by easy navigation. Integrate all the necessary information so that customer does not have to dial your number. Live Chat support for example, is an excellent solution. · Finally, it is recommended to the call centers to carry out call guides and scripting tools. It allows an agent to forward a call to an agent who is capable to resolve the matter with 100% efficacy. It reduces the call duration and further cut down the average handling time (AHT) across the call center agents. These are some of the few tips and suggestions that will reduce the call volume to a certain extent. Reducing calls will enhance your operational performance metrics, which in result provide productive results in the call center operations.